Thank you to everyone for supporting Red Nose Day this year. 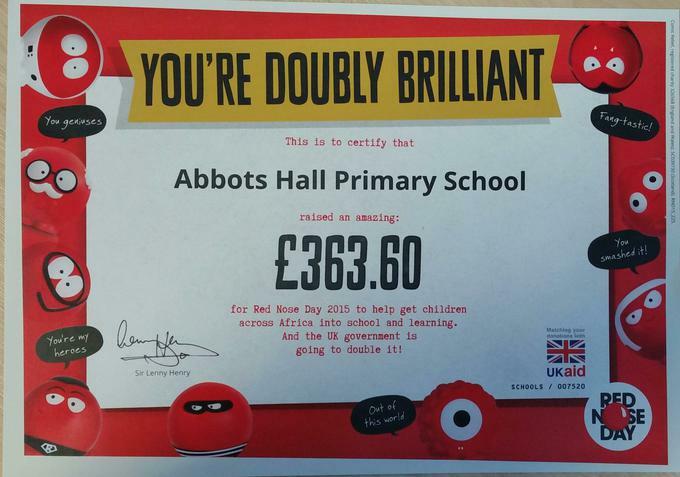 Today we received our certificate showing the grand total of £363.60 in funds raised by our school community. As the UK government doubles this amount we have made a huge difference in helping to get children across Africa into school and learning. Well done everyone! !